There are times you wonder how this country’s preoccupation with sports got so out of whack that a situation can arise where high school football players are turned into criminals – all in the name of team bonding. 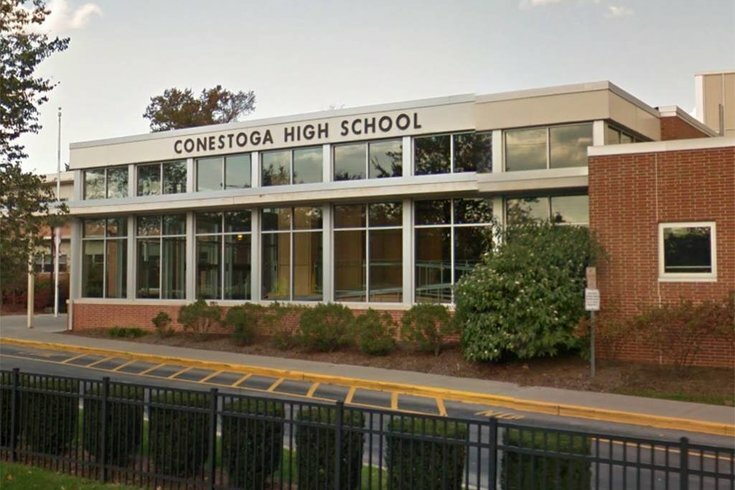 That is what appears to have happened at Conestoga High School, where the football program is under investigation for alleged horrifying acts that led to the assault of a 14-year old freshman by three upper-class athletes. According to local law enforcement officials, the assault took place during something called “No Gay Thursday” – an unsupervised time when sexual behavior otherwise considered to be "gay" was allowed. The full story has yet to be told, so everyone must be very careful here to avoid an immediate assumption that this was a total out of control environment and this sort of mayhem was the norm. There has to be some restraint before painting the entire football program as out of control, especially when you consider a recent case in which the Duke University lacrosse program was excoriated for alleged practices that were later deemed to be fabricated. It has now reached a point where some of the attention given to young athletes needs to be tapered. It is no longer a case of joining teams to have fun and develop relationships; it has become a case of joining a preferred status just because of athletic talent. But that doesn't seem to be the case here. To begin with, you would have to have grave concerns about a program where something like a "No Gay Thursday" is allowed to start in the first place, let alone continue for what authorities said was at least three years. Although the coaching staff and administrators will likely try to distance themselves from the events, there is no excuse for any high school athletic program to allow such deplorable actions to take place on its grounds and under its watch. These are high school students, and the understanding is that they will be supervised both during the classroom sessions and at school events. They wear the school’s colors and represent the school when they walk onto an athletic field and certainly in their own locker rooms. Sadly, the alleged events at Conestoga are not exclusive to Conestoga and, at root, are part of a worldwide problem that is getting worse by the hour as children, at a very young age, are being awarded the status of "elite" athletes – and are bestowed all of the prestige that comes with that label. It is absurd to pick up a local newspaper in Anytown, USA and see team photos of about a dozen local teams that supposedly won some sort of state, local, national or international competition. It is just insane to think there are that many championship teams in every single town across the continent. It’s also absurd to hear parents try to convince their kids that; “It’s not the name on the back of the jersey that counts, it’s the name on the front of the jersey,” and then watch them drive away with their kids name in uniform on the back window of their SUV. It has always been the opinion on this side of the page that sports really does help build character. And there is a true belief that one of the most important events in the last generation was the advent of Title IX, which gave girls a great opportunity to use sports as a vehicle to enhance their lives. However, it has now reached a point where some of the attention given to young athletes needs to be tapered. It is no longer a case of joining teams to have fun and develop relationships; it has become a case of joining a preferred status just because of athletic talent. The reality check needs to be administered by parents, teachers, friends, and relatives – just because you can throw or hit a ball or skate like the wind, and just because your team can wins games, does not mean you are a better person. There needs to be a reality check to remind young athletes that what they are doing is no more valuable than what the band member is doing, or what the drama club is doing. There needs to be a reality check that the kid who earned a spot in the school play worked just as hard as the kid who earned a spot on the football team – and maybe even harder. What happened at Conestoga High School was disgusting and if the alleged events are proven to be true, there needs to be a total overhaul of the football program. However, Conestoga is only the latest example of a national obsession with sports and athletes that has spun way out of all reason. It is exactly that obsession that has led to example after example of athletes of all levels thinking they are above the law and above reproach. It has gotten to the point where athletes somehow think they are the uniformed elite – and everybody else is just a civilian. For all of those who are looking from afar and thinking that such an event could never happen in their school or in their town, think again. And maybe it’s a good time to get some priorities in order at schools, youth leagues and even households and realize that being an athlete doesn’t mean you have any special status. It might be time to tell a few Big Men On Campus to clean up their room and take out the trash. Before they become trash.